I imagine I’m not the only person who’s ever misheard a song lyric or misunderstood a quotation only to find its true meaning unsatisfying afterwards. Like discovering that Jimi Hendrix is singing about coming up for air, having dreamt about being underwater, when he sings “’Scuse me while I kiss the sky”, rather than brazenly canoodling with another man, saying, “’Scuse me while I kiss this guy.” There’s an entire website devoted to this phenomenon called kissthisguy.com. The front page there is pretty goddamn ugly, though, so I’d advise against clicking it if you have functioning eyes. That’s a silly example, but I had a much more hurtful experience when I reached the end of Halo 4’s campaign. I found myself watching a bold, abstract, emotional and exciting finale, only to have this cruelly undone leaving just the emotional experience to persist. In this case the truth was frustrating, robbing me of a future for the franchise I was genuinely excited about. Let me explain. How, right before saving humanity throughout the galaxy from certain annihilation, Shepard revealed himself to be a liar and a coward. Commander Shepard is, objectively, a hero. But he’s also a man. A man who likes women (in my playthrough, anyway). He spent his entire first adventure pining after Tali, the feisty but naïve Quarian girl, only to be seduced by Liara’s disarming bashfulness. But the charming commander had all along been hiding a selfish, uncompassionate self that would only manifest itself years later. In 2010 movie critic Roger Ebert made the statement “Video games can never be art” to a chorus of dissent. A simple counter argument runs that since video games tell stories, and many stories are considered art, then does the medium through which a story is told really dictate its worth? But what are the great video game stories? Will we ever see video games repackaged and re-released as classics with tasteful new covers? I hope so (see how that might look here). At their inception many video games were essentially an elaborate form of a board game, like Connect 4; they had rules and objectives. Many offered a simple premise rather than a full story to help drive the player through the challenge. This was necessary since in many cases the incentive of victory over a human opponent had been removed. 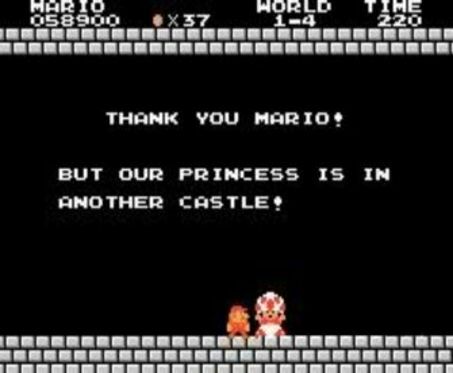 A classic example would be “Bowser has kidnapped the princess!”. Today, however, most big, mainstream games employ a full story to compel the player to continue, with simple objectives used in the short-term to let them know specifically what to do. This is one of the first longer-form pieces I did for the newsletter, which was a wholly inappropriate platform, but most of the editors were very kind and printed them anyway. It was in response to a lot of people dismissing certain movies off-hand because they were cartoons.